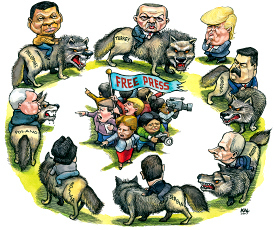 Founded in 1941 by Eleanor Roosevelt and Wendell Wilkie as a nonpartisan organization, Freedom House has long been a leader in identifying threats to freedom of expression both in the U.S. and abroad. 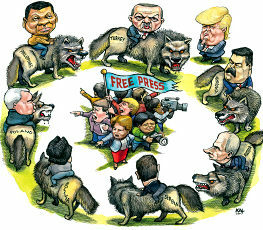 The Foundation provided support for its annual global press freedom index, Freedom of the Press: A Global Survey of Media Independence, an assessment of the level of media freedom in each country, and its dissemination worldwide as a tool to help defend and advance freedom of expression. 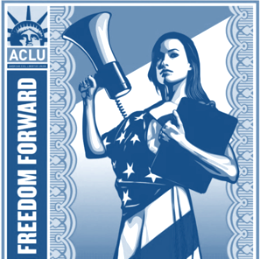 For almost 100 years, the ACLU has worked to defend and preserve the individual rights and liberties guaranteed by the Constitution and laws of the United States. Leon Levy was a long-time supporter of the ACLU and since 2005, the Foundation has given more than $10 million. Grants have supported general operations, the Safe and Free program to fight infringements on civil liberties made in the name of national security, and programs defending reproductive freedom, women’s rights, and freedom of speech.